The BCRC is committed to funding leading-edge research to position the Canadian beef cattle industry as a global leader in beef quality, animal health, food safety and environmental stewardship. BCRC strives to ensure technology transfer and knowledge dissemination of research within the Canadian beef cattle industry. The quality of Canadian beef products form the basis of consumer demand and trade contribute significantly to competitiveness with other beef exporters and other protein sources in the world markets. 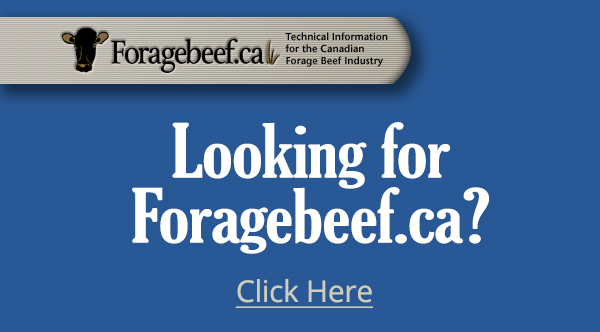 Traditionally Canada has successfully produced a youthful, lean, commodity beef product based on a primarily grain-based feedlot production system. Research on the interface between beef production and the environment in which it is produced is important to providing producers the tools and knowledge they need to be optimal stewards of their land. Major production limiting diseases can be costly, even devastating for an individual herd, and have the potential to harm the entire beef cattle industry. Applied research works to develop effective and economical management practices, and diagnostic and treatment tools. In order to maintain consumer demand for beef domestically and internationally, research and innovation focus on improving food safety interventions, methods to quantify their effectiveness, and the development of strategies that counteract multiple pathogens. The profitability and health of the finishing sector relies in large part on the production of high quality and yielding feed grains, and animals that are highly efficient in converting feed mass into increased body mass. The health and profitability of the cow-calf sector depend on forage and grassland productivity. Research is focused on the development of strategies that will improve grassland management to increase productivity and sustainability. Studies that fall outside of core research priorities may impact all priority areas, such as economic analyses and genomics. Other topics become important or necessary following unforeseen events, like the study of specified risk material disposal due to the BSE crisis.